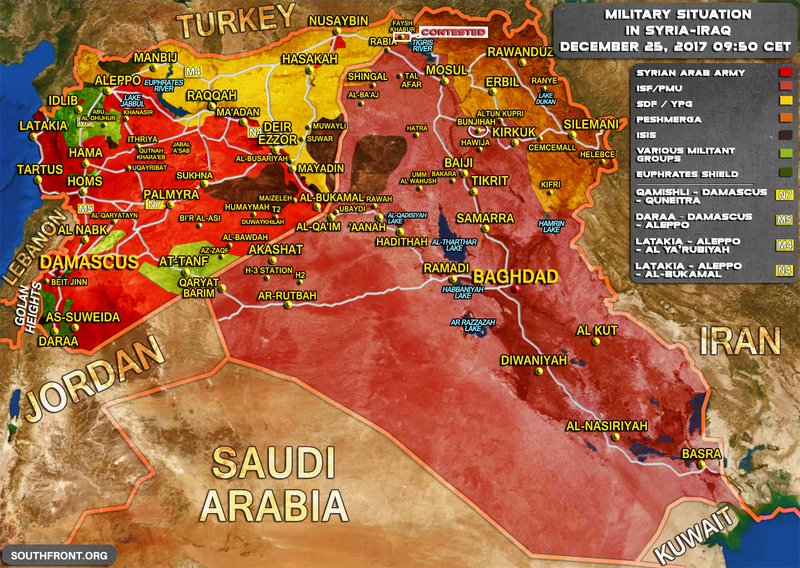 Military Situation In Syria And Iraq On December 25, 2017 (Map Update) 5 out of 5 based on 14 ratings. 14 user reviews. 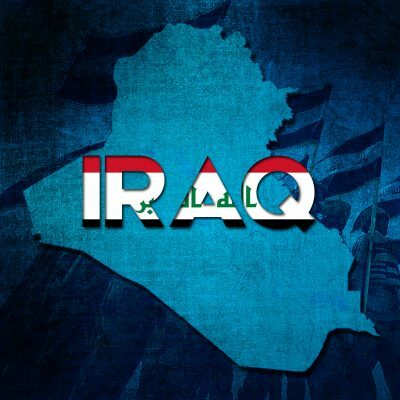 Iraqi security forces (ISF) have established control over the village of Bunjihah that had been controlled by forces of the Kurdish Regional Government. Thus, ISF troops have secured the road that links the cities of Kirkuk and Mosul. The Syrian military is deploying reinforcements to southern Aleppo and northern Hama for the upcoming operation against Hayat Tahrir al-Sham (formerly Jabhat al-Nusra, the Syrian branch of al-Qaeda) in the province of Idlib. Syrian troops have advanced against Hayat Tahrir al-Sham in the Beit Jinn pocket in southern Syria. Now, the Syrian Army controls the road between the militant-held towns of Beit Jinn and Mughr al-Mir. Happy Christmas, to all freedom loving people everywhere, against the satanic Zionist warmongering murderer’s and thieves.And hope for a complete victory for Syria,Iraq,Yemen,Palestine etc in the near future. Merry Christmas Tis The Season To Kill All Dessert Terrorist Rats! That victory is not far away . . . I cannot understand for what reason SAA and their allies don’t make progress anymore towards ISIS around west Euphrates Valley. There is a large pocket of desert area that ISIS controls yet. It produces great risk for Palmyra and other strategic cities. theater for the brain dead. ISIS is CIA black ops. Same as Al Qaeda was. According to ‘another website’, it now appears that Daesh are re-emerging and are taking back a number of areas in Iraq. Anyone know if this is true?